This week's Heart Lab is brought to you by Freda of Mykonos. 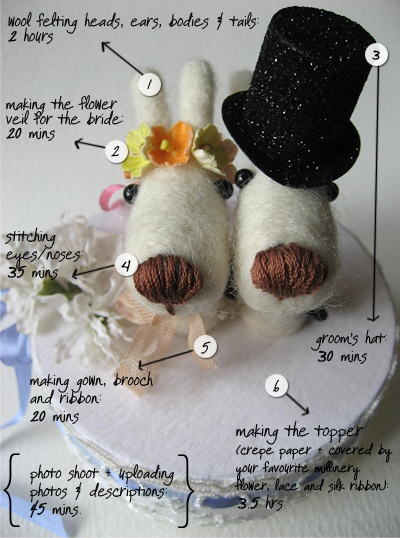 Freda makes the most wonderful doggie cake toppers - each one is unique and meticulously handmade by wool felting and adorned with vintage fabric and flowers. Stop by her blog and make sure you check out her Etsy shop - Mykonos (she LOVES Greece!) She's based in Hong Kong and has been crafting since 2004. She also designs the most precious pieces of jewelry so make sure you pay her a visit real soon! I adore her work and love seeing how much love and hard work go into everything! Thanks for sharing, this is such a great feature...love it!